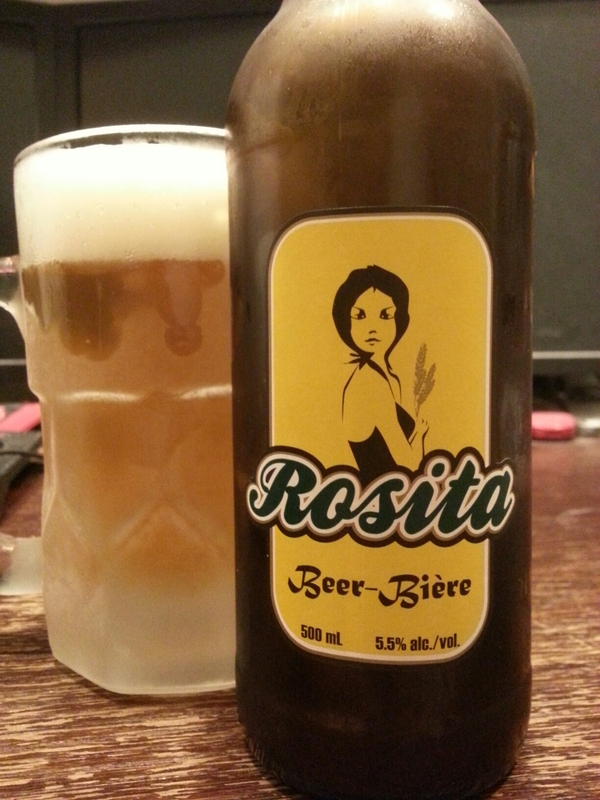 Rosita (Original) – Cerveses La Gardènia (Spain) | Justintoxicated. Ingredients: water, malt of barley, sugar, honey, hops and yeasts. Visual: (Cellared for 3 years). Pours cloudy amber brown with a large bubbly dissipating head, 2mm layer of retention, light lacing, very fast singular streams. Finish: lingering honey, subtle short bitter hops, liquid barley malt exhale. Summary: Plain barley malt flavour with a touch of honey, not much character other than the very lively crisp fizzy mouthfeel. Just an average blond.